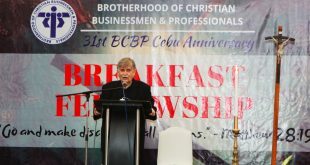 No less than the new national president of the BCBP, Bro. Joffe Almoro and wife Sis. 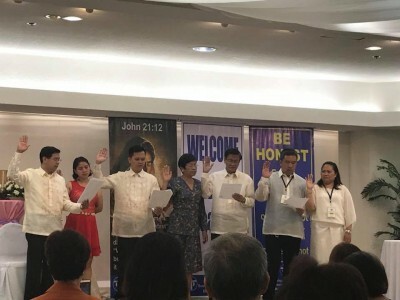 May Almoro, led the installation of the new BCBP leaders on January 6, 2018, in simple yet solemn rites at the Bethel Guest House in Dumaguete City. 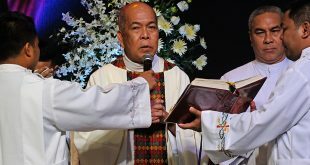 Foremost among those installed was the new Regional Council Director for East Negros, Bro. Dodo Omictin and wife Sis. Neneng Omictin. Bro. 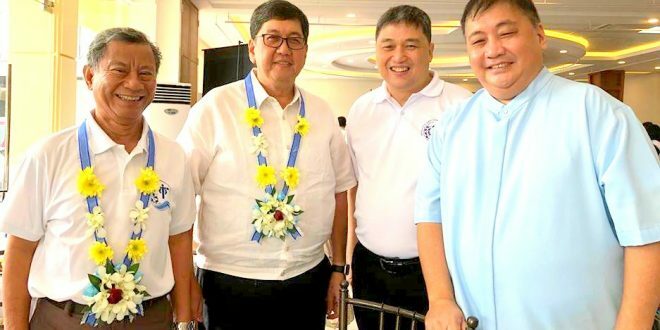 Dodo had served as Chapter Head of Dumaguete North before his new appointment. Bro. Lee Zerna and wife Sis. Jenny Zerna were also installed as new Chapter Head for Dumaguete South. Bro, Boying Lubaton and wife Sis. 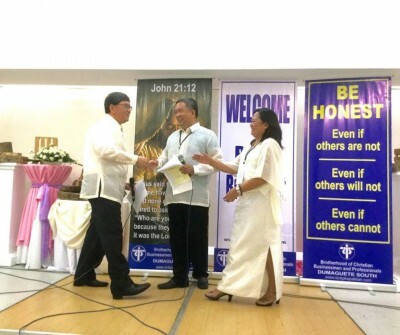 Tata Lubaton, meanwhile, were installed as new Mission Head for Bais Mission, also under Dumaguete North chapter. The new Chapter Heads and Mission Heads received their appointments and took their oath of office before Bro. Joffe Almoro. Joining them were new new Unit Leaders of Dumaguete North, namely Bro. Noel Bayno and Bro. Japeth Adalid. 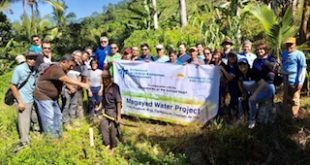 The East Negros region started with the establishment of the Dumaguete Oureach by the Tagbilaran, Bohol Chapter in 1994. 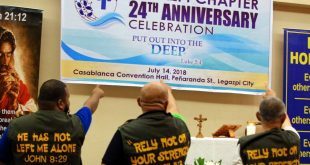 What originally was a group composed of seven couples and seven singles has now grown into a formidable force of more than 500 spread in various chapters and outreaches and has conducted more than 20 Christian Life Programs. Bro. Joffe Almoro and wife Sis. 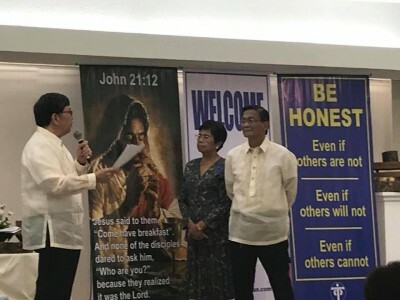 May Almoro served as Couple Sharers for the region’s Grand Breakfast that preceded the installation. Prior to this, Bro. Joffe met with the region’s Management Committee to cascade the plans of the BCBP Board of Trustees for this year and beyond. Bro. Joffe also joined a live broadcast in a local radio station to talk about the growth of the BCBP in the region and to promote the BCBP’s vision of bringing Christ into the marketplace and winning the marketplace for Christ.